Take a look at the corner of 6th Avenue and Waialae Avenue on the mauka side and Kaimuki Toyota is gone! 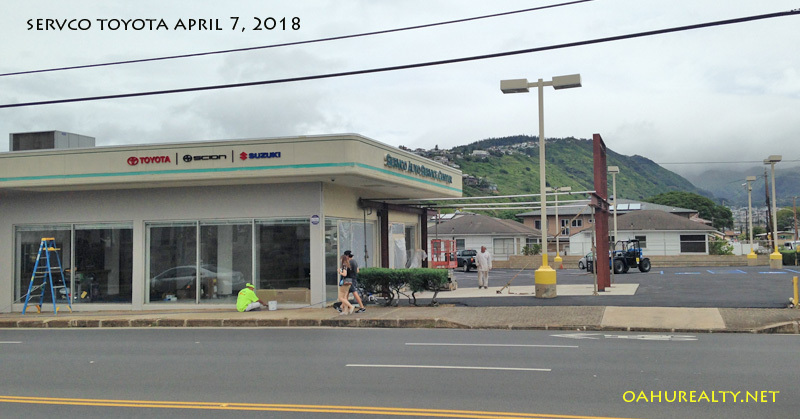 It was closed in early 2018 and has been replaced with Kaimuki Subaru, which relocated there from further up Waialae Avenue. Both dealerships are owned by Servco. I marked the top photo "Kaimuki Toyota" and the photo below "Servco Toyota" and there was no change in the name or ownership - I just didn't bother to redo the title on either photo. 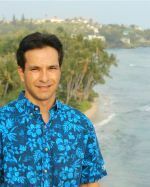 The proper name of the dealership was "Servco Toyota Kaimuki" and in the later years called "Servco Toyota Kaimuki Service" after they quit selling cars and focused solely on servicing them. Also note the signage above included Scion, an alternative Toyota nameplate which was terminated in 2017. Some of the former Scion vehicles are now knowns as Toyotas. 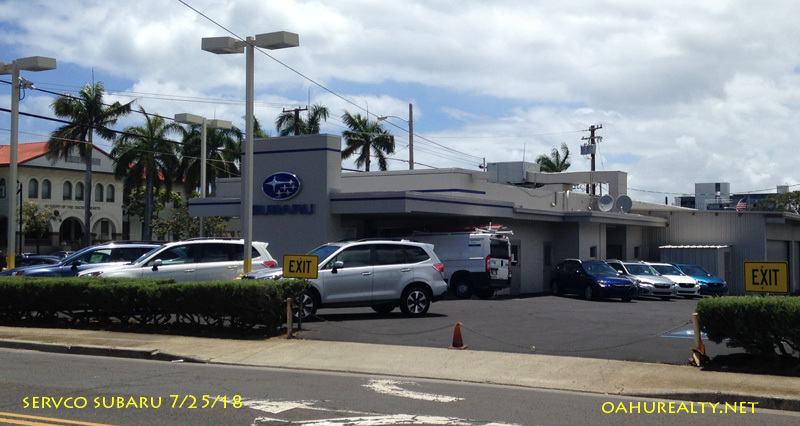 Kaimuki Servco Subaru opened at 3280 Waialae Avenue (pictured above) in the summer of 2018. Do you ever wonder what "used to be" at a certain location? Prior to Kaimuki Toyota's establishment at the corner of 6th Avenue and Waialae, Capitol Drive Inn occupied that location. Patrons called it "Caps". Carhops served patrons in their cars. Popular treats were saimin, roast pork sandwiches, orange freezes and ice cakes. Ice cakes were were flavored ice in a cup, similar to shave ice but in solid form. It was a popular restaurant, founded by Seichi and Henry Uyehara in 1946. Some records indicate Capital Drive Inn closed in 1967. According to my neighbor who grew up in Palolo Valley, Capital Drive Inn closed in the early 1970's and then Kaimuki Toyota opened at the same spot shortly afterwards, around 1972.